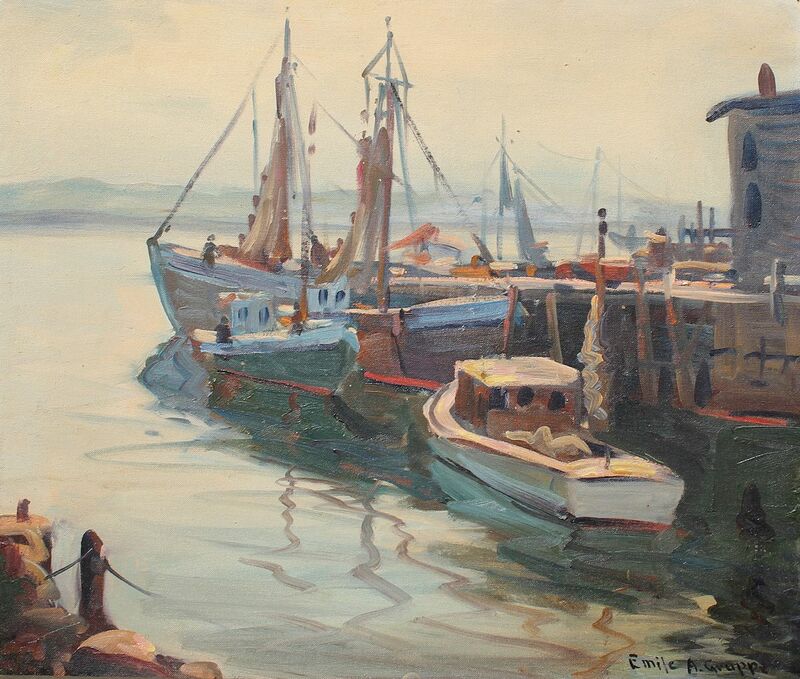 GRUPPE, Emile, (American, 1896-1978): Dockside Scene, 20'' x 24'', Oil/Canvasboard, signed lower right, framed, 25'' x 28''. Sold with a bonus lithograph. CONDITION: Needs cleaning, several small flecks and pin head size dents, sold as is.